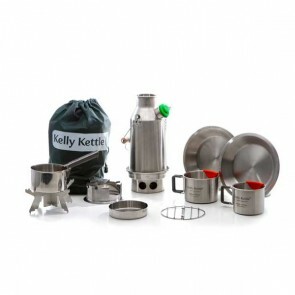 Boil water fast and cook easily outdoors using any fuel. 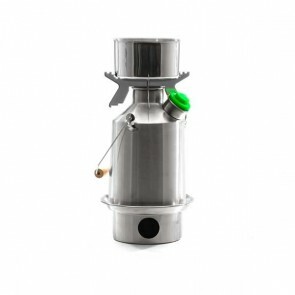 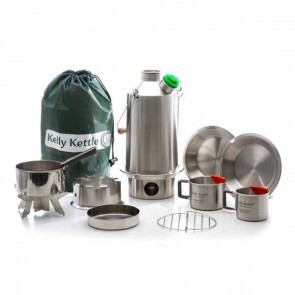 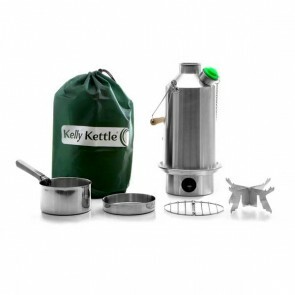 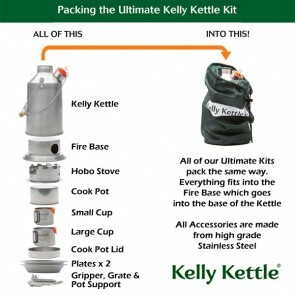 Kelly Kettle Kits are great gifts for the outdoor enthusiast (Christmas, Birthdays, Fathers Day, Mothers Day, etc.) Perfect gifts for Camping, Fishing, Scouts, Hunting, Fun Family Picnics and a vital addition to Emergency Preparedness & Survival Kits for when the power goes out! 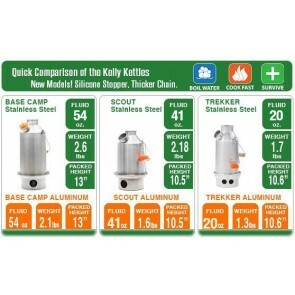 We have 3 size Kettles available in Stainless Steel. 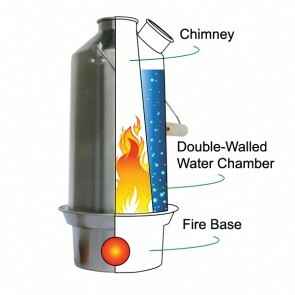 Boil's water faster then a jet gas stove. 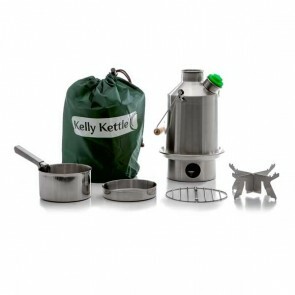 Good for any expedtions anywhere!